Just fill in your details to claim your free guide! Here at insurecarhire.co.uk we understand how expensive rental insurance premiums can be. That's why we've combined the latest technology with the highest quality insurers, in order to provide you with a unique web based pay as you go insurance platform at a remarkably low price, enabling you to insure your vehicles for one day, one month or one year. Our unique pay as you go insurance platform puts insurance for your rental business right at your fingertips. 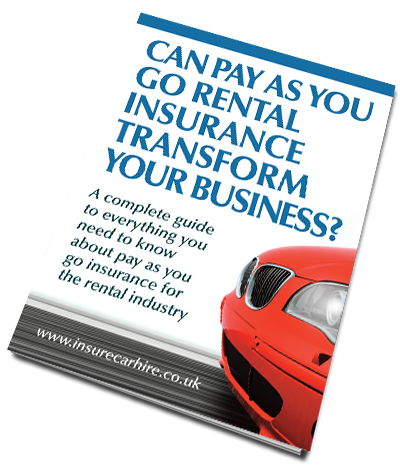 At insurecarhire.co.uk our emphasis is on offering you a complete pay as you go rental insurance system, covering everything from full rental documentation to accurate calendar reminders. Please explore the site to discover exactly how we can help you. If you would like to learn more about insurecarhire.co.uk and how it can save you money, why not spend a few seconds filling in your details? If you do this, we'll send you a free copy of our new guide, “Can Pay As You Go Rental Insurance Transform Your Business”, full of useful information that will save your business time and money.